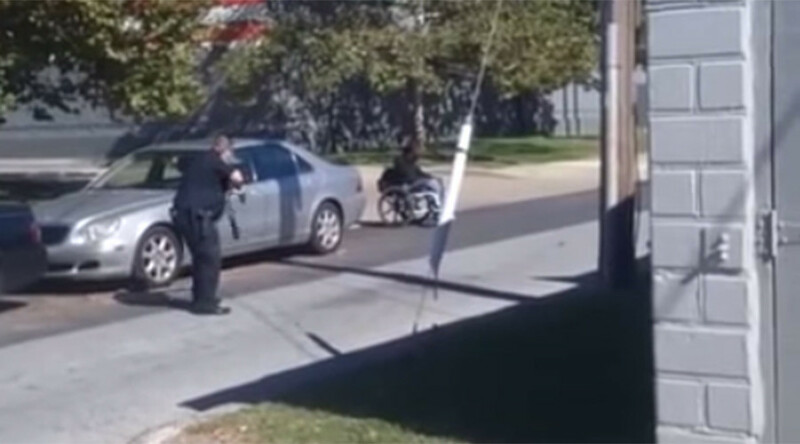 A Delaware councilman has called on the US Attorney General to investigate the fatal police shooting of a wheelchair-bound suspect, Jeremy McDole, who was killed when police responded to a call saying that a man was suffering from a self-inflicted gun-shot wound. In a letter sent to Attorney General Loretta Lynch and Delaware District Attorney Charles Oberly III on Monday, Delaware councilman Jea P. Street of New Castle County asked for an investigation into the use of deadly force by police officers in the City of Wilmington on September 23, according to NBC. “This situation cries out for a fair, impartial and unbiased investigation and determination by experience experts in criminal justice that can readily be provide by the Department,” wrote Street. In the letter, Street says that on September 23, McDole was shot dead by four police officers. McDole was a 28-year-old African-American man, paralyzed from the waist down and sitting in a wheelchair at the time of his death. The shooting was captured on video, and has been made public on YouTube and local news media. “The video clearly shows that Mr. McDole was initially shot with a shotgun by a white male officer and after being shot by that officer, two other white male officers and Hispanic officer approached the scene with hand guns drawn and you can hear multiple shots being fired as Mr. McDole was literally shot out of his wheelchair and later pronounced dead at the scene,” Street wrote to Lynch and Oberly. Street said there was great shock and grief among his constituents, who were outraged about the shooting. He said the level of tension in the community is potentially explosive. On Friday, the head of the NAACP’s Delaware chapter, Richard Smith, said he did not trust the state to conduct a fair trial and impartial investigation. He cited previous investigations where police shootings resulted in injury or death. "There's been so many shootings, and every time it comes out it was a justified shooting. We cannot continue having all our folks being shot and nobody held accountable," Smith told the Associated Press. "Every time there was a shooting, it came back justified shooting. Everything can't be justified." Wilmington Police Chief Bobby Cummings said he's watched the video and believes the officers acted professionally. A .38-caliber handgun was recovered, he said, which was connected to McDole.